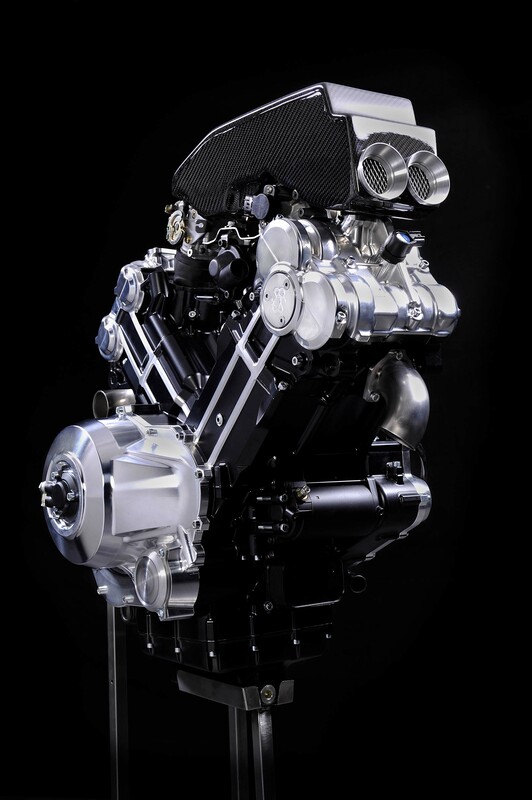 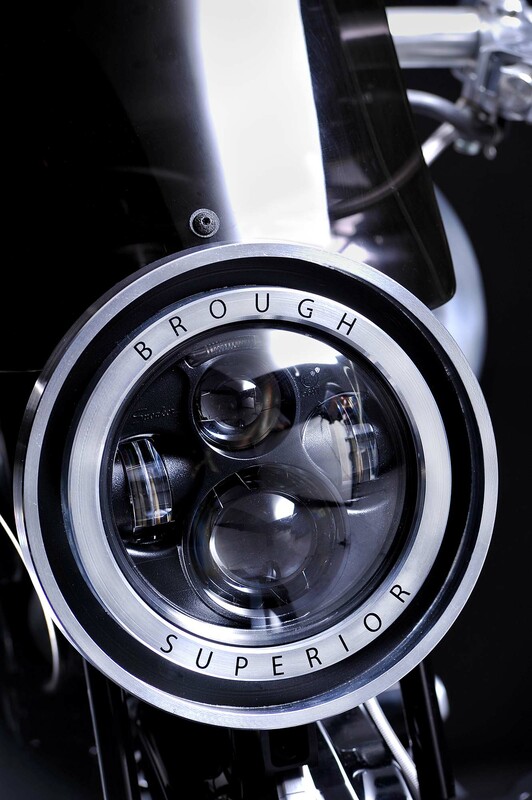 Engineered by the minds at Boxer Design, the Brough Superior SS100 is a heavy on its use of old-school design and aesthetic principle, but was built and engineered with cutting-edge technology. 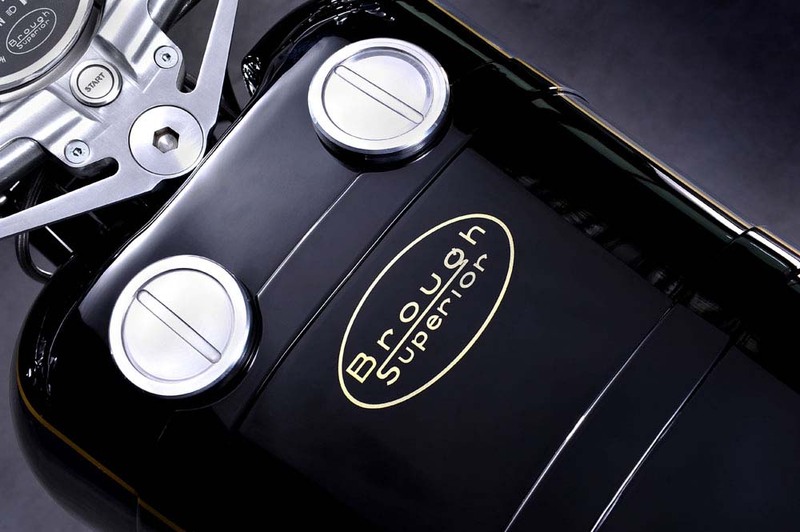 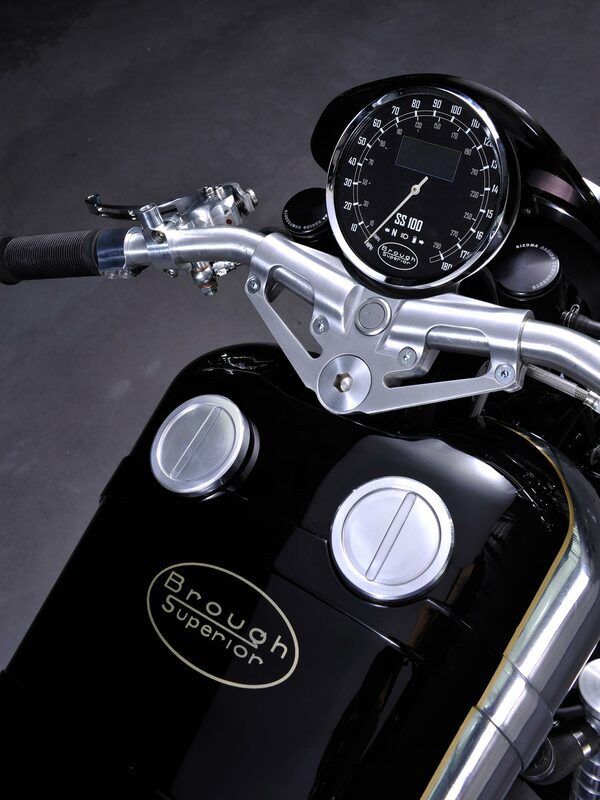 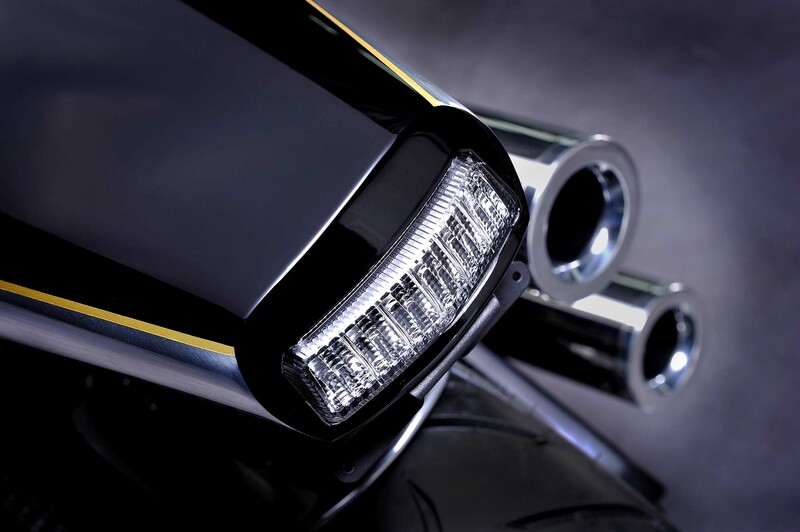 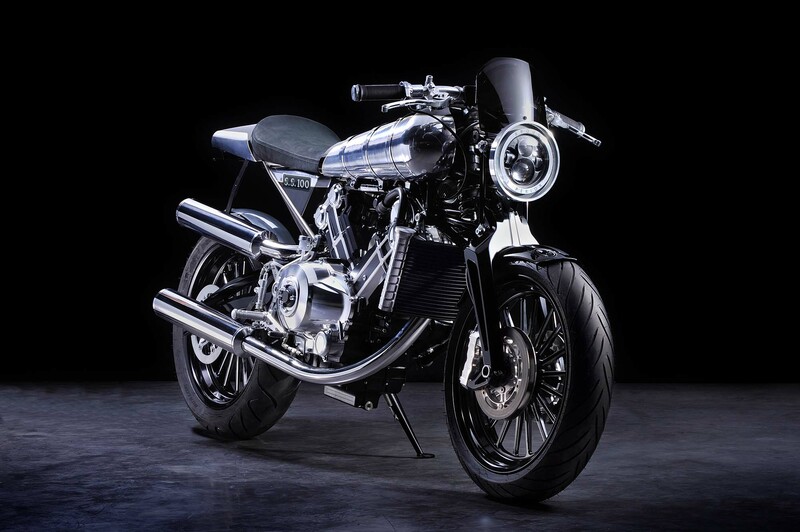 As you can tell, the current model riffs heavily on the classic lines of the Brough Superior SS100 that came before it – the same one that T.E. 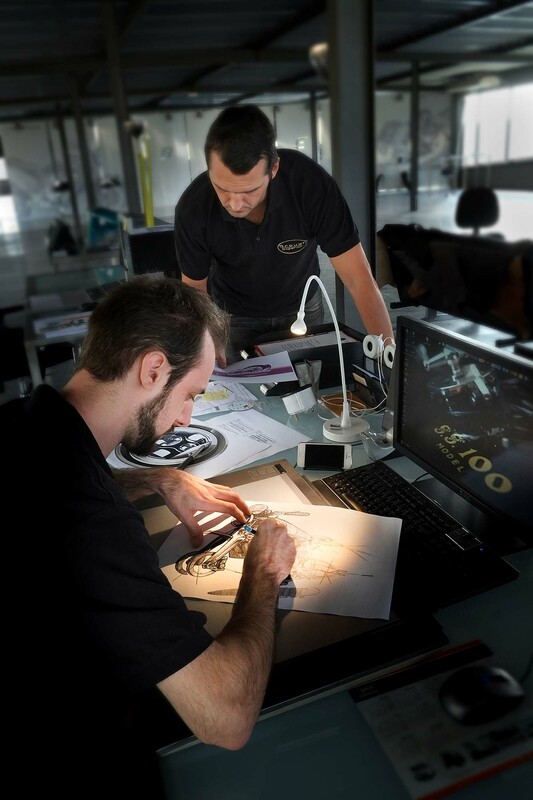 Lawerence made famous through his travels. 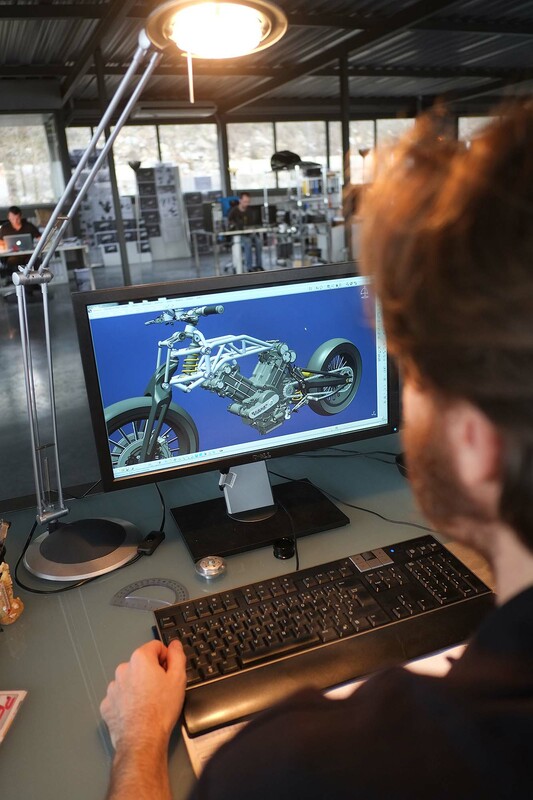 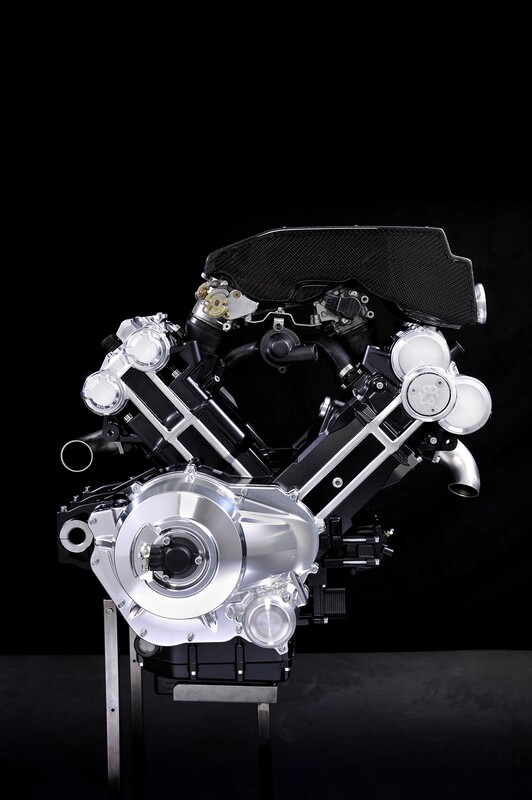 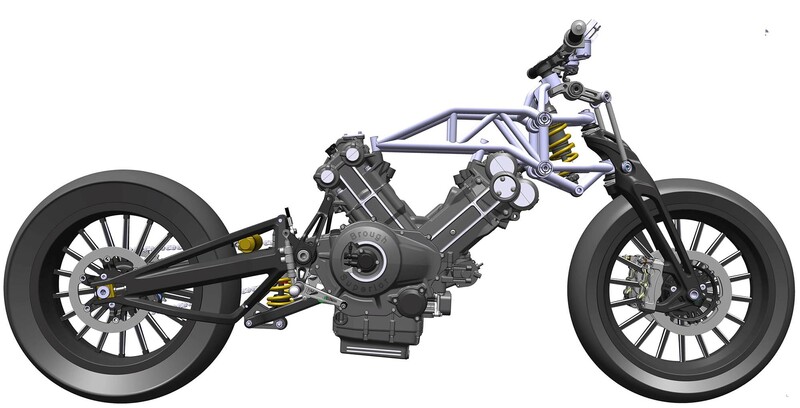 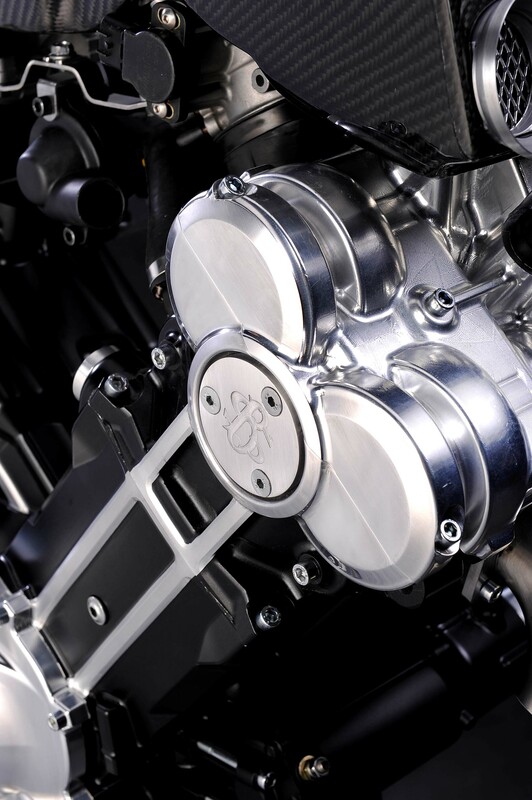 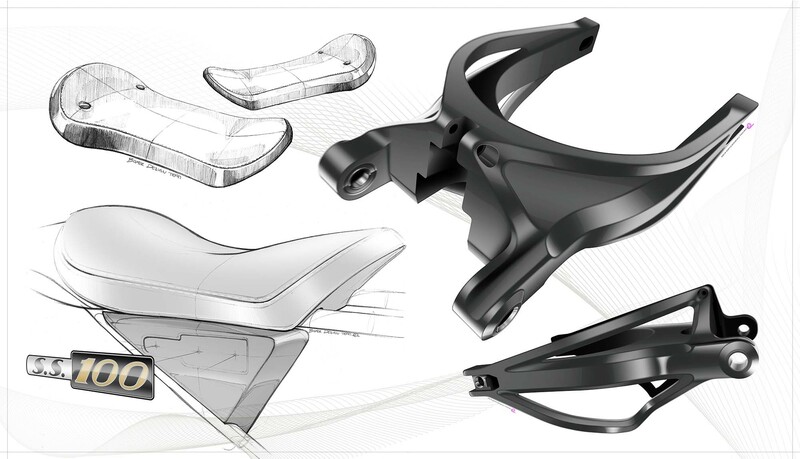 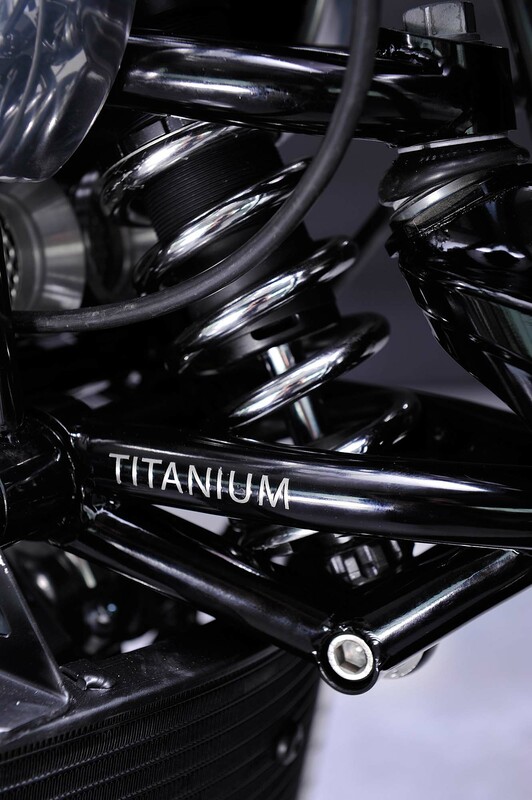 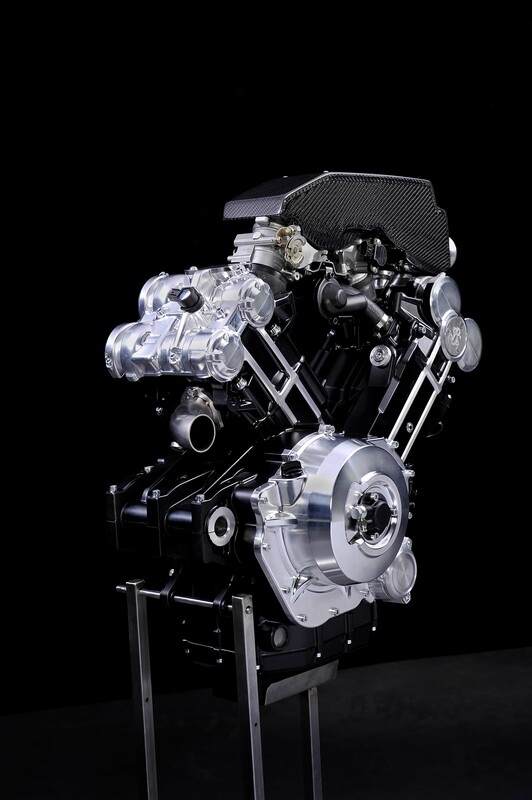 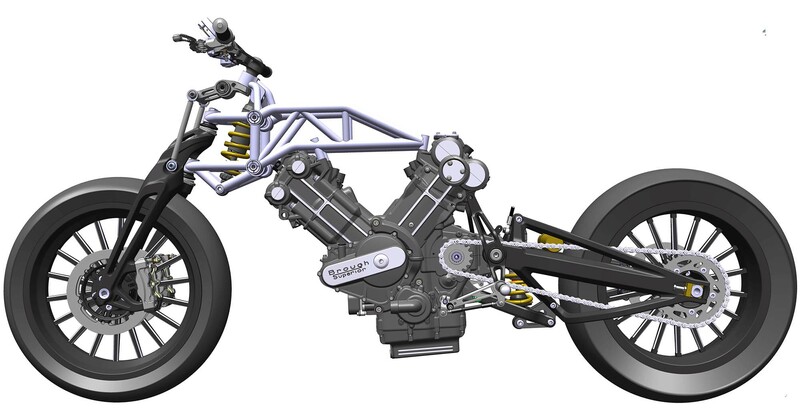 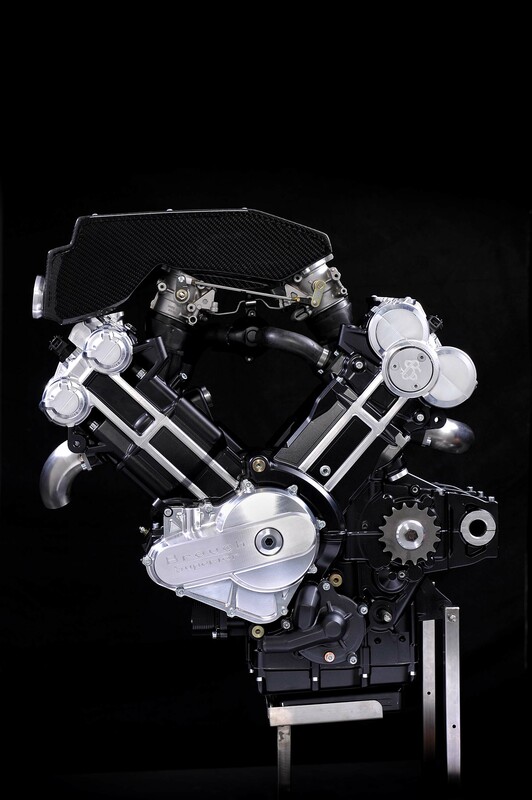 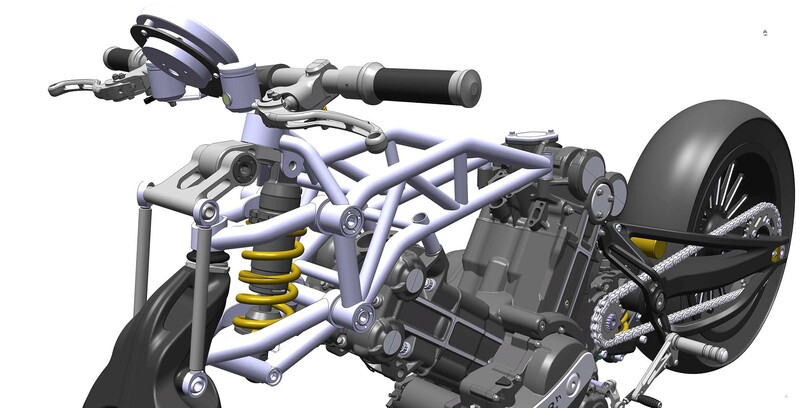 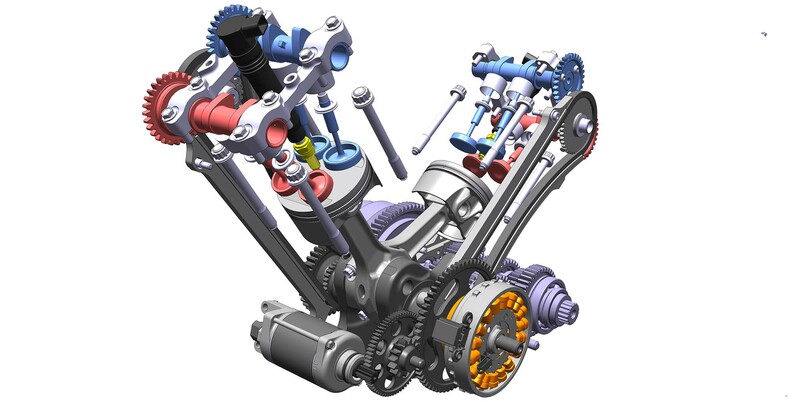 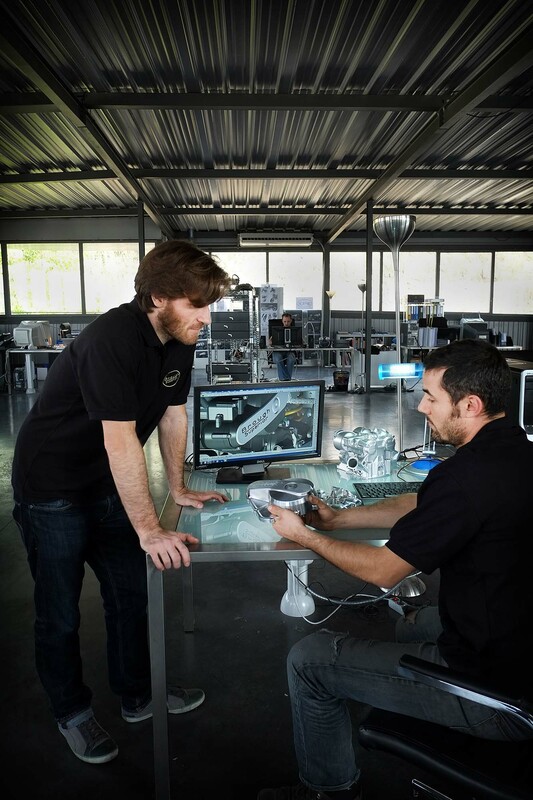 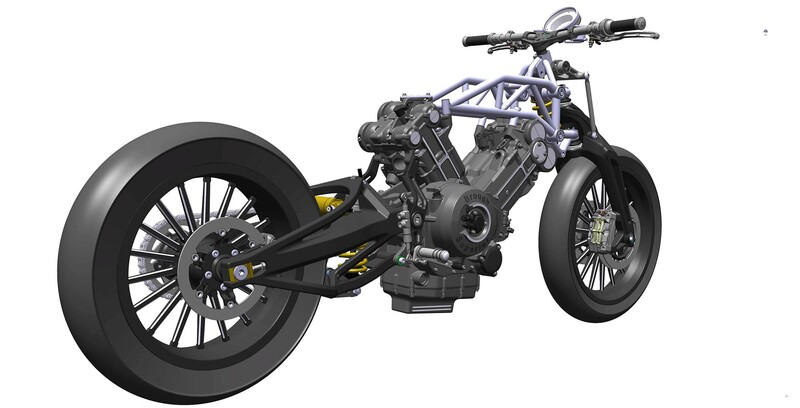 At the core of the machine is a 997cc, 88°, v-twin engine, which is a stressed member of the frame, and is the result of collaboration between Boxer Design and famed engine builder Akira. 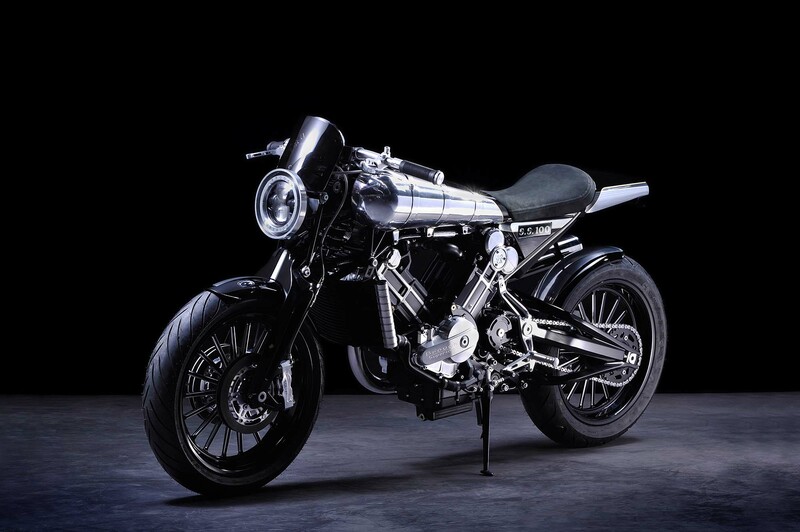 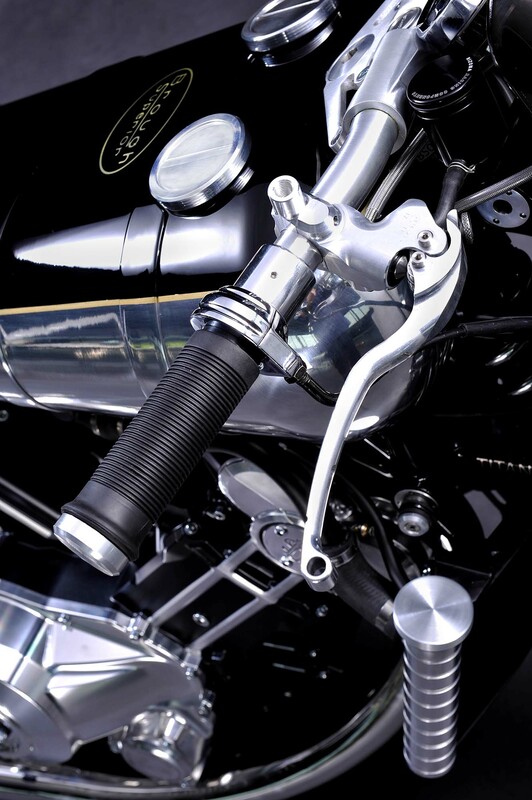 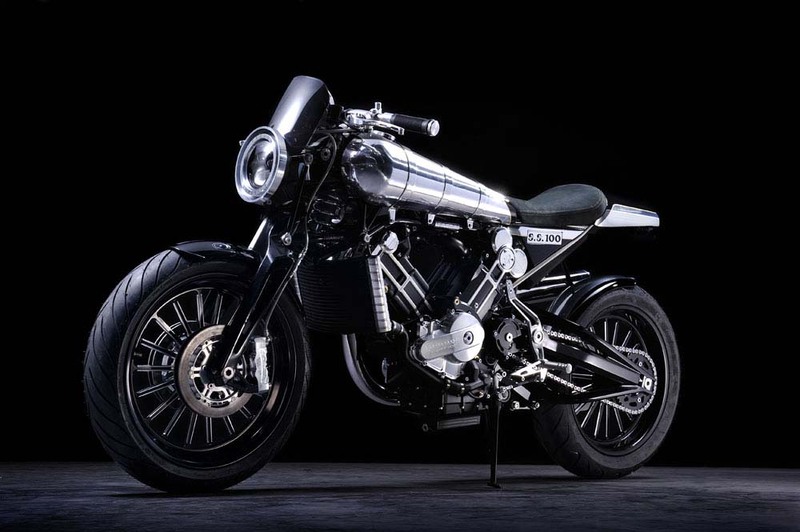 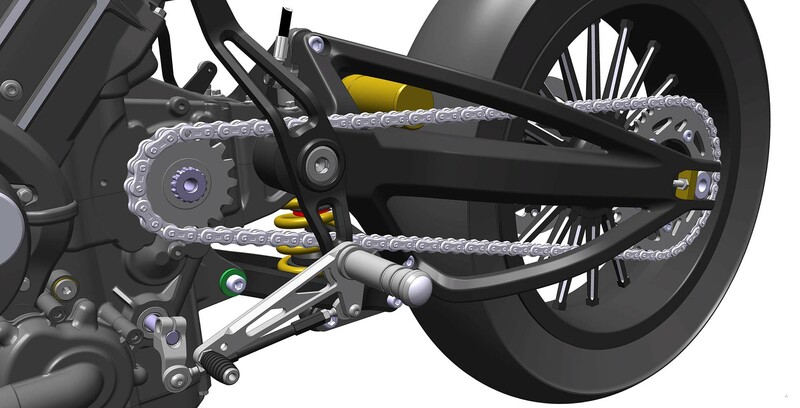 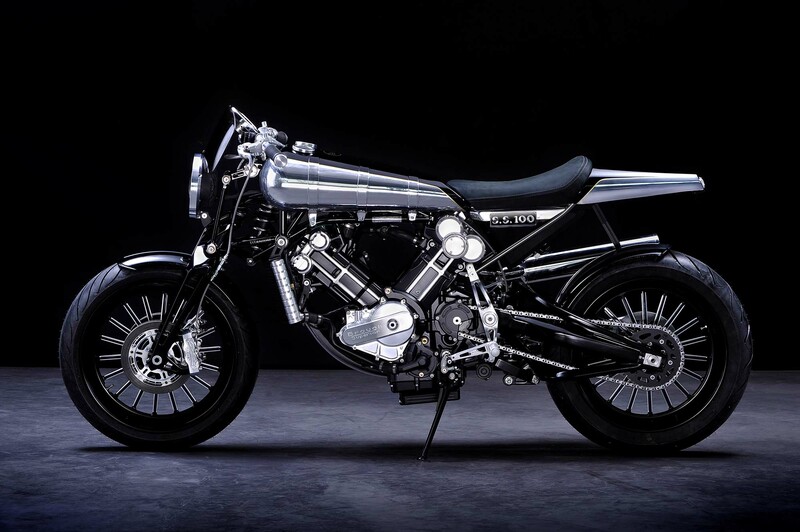 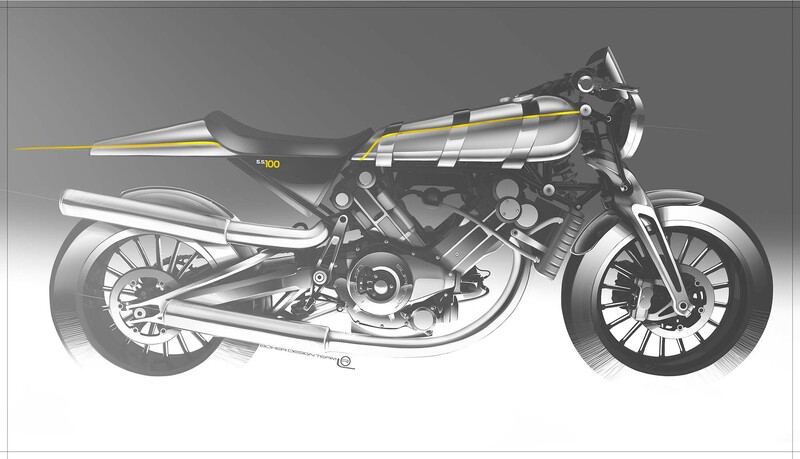 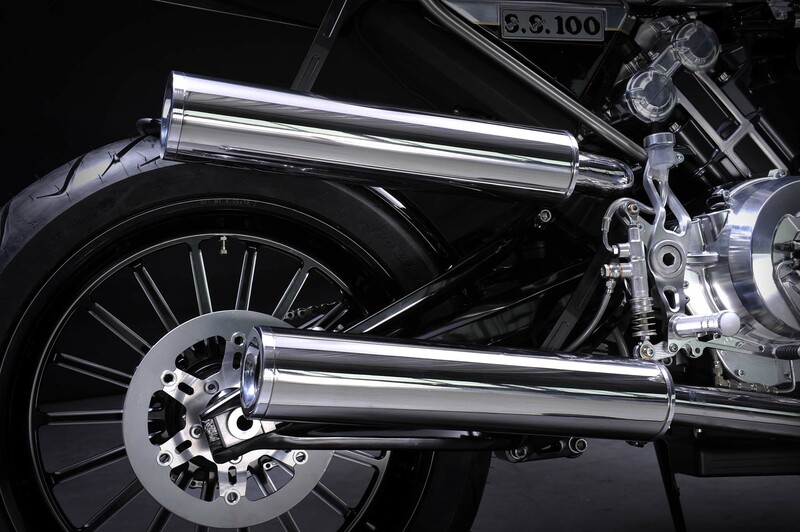 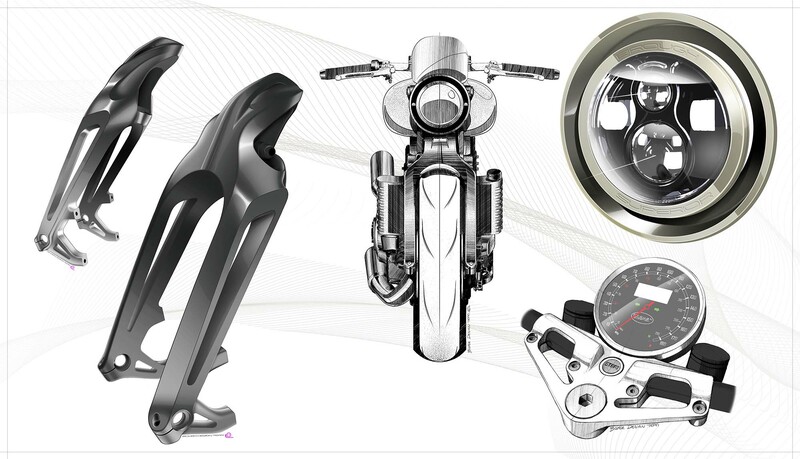 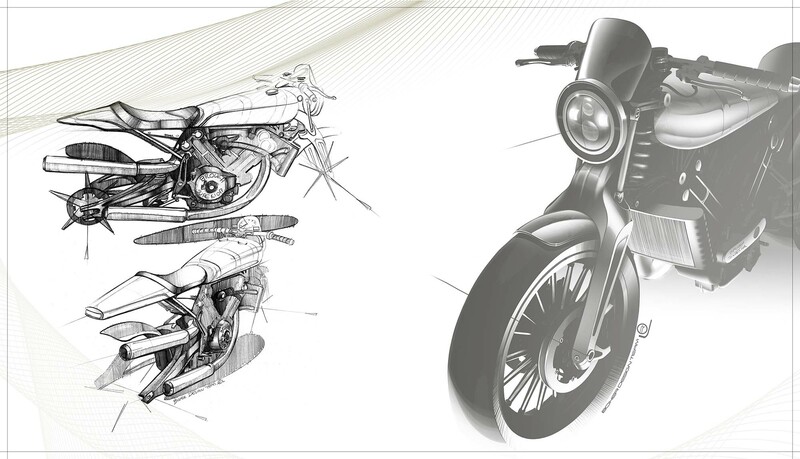 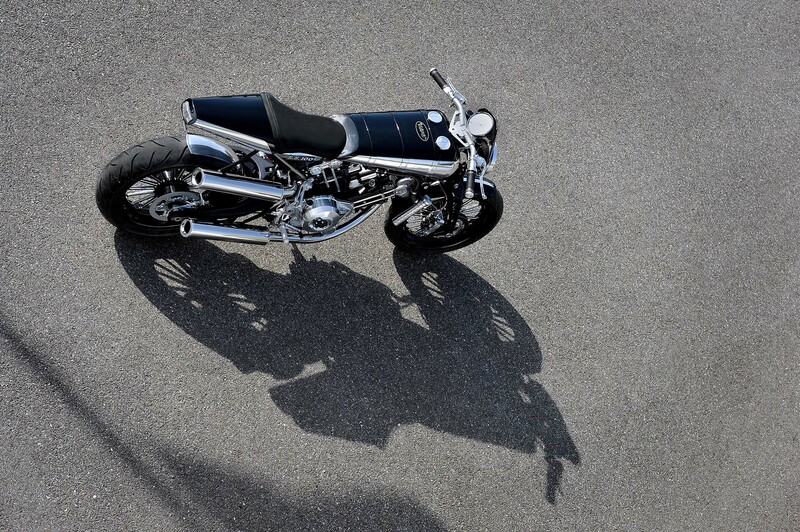 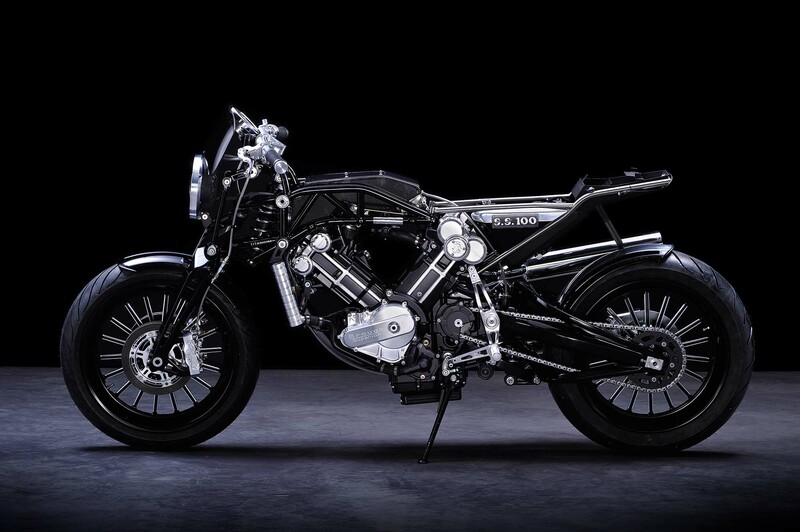 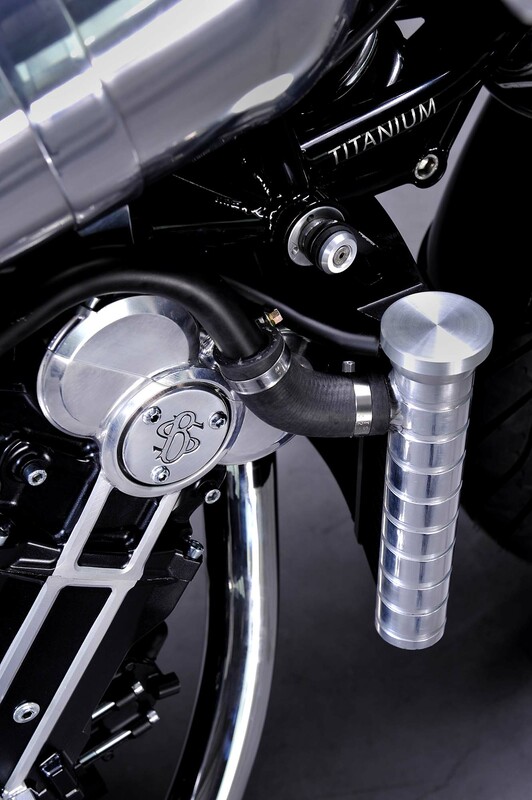 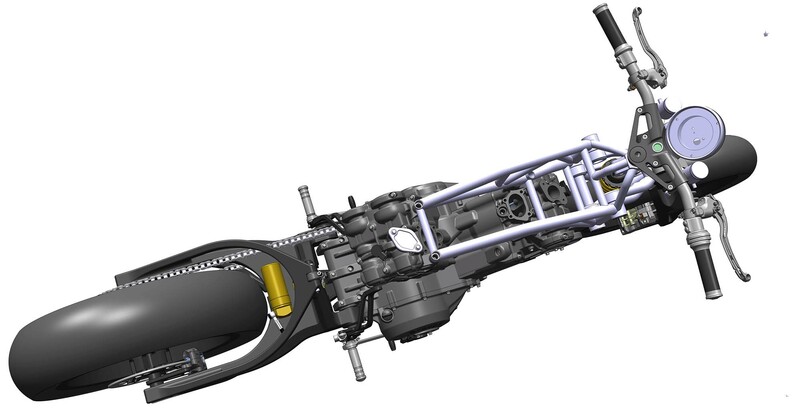 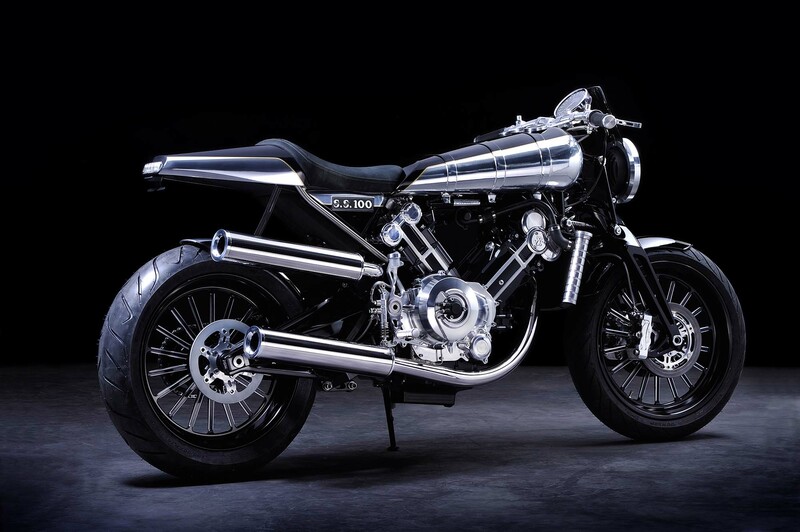 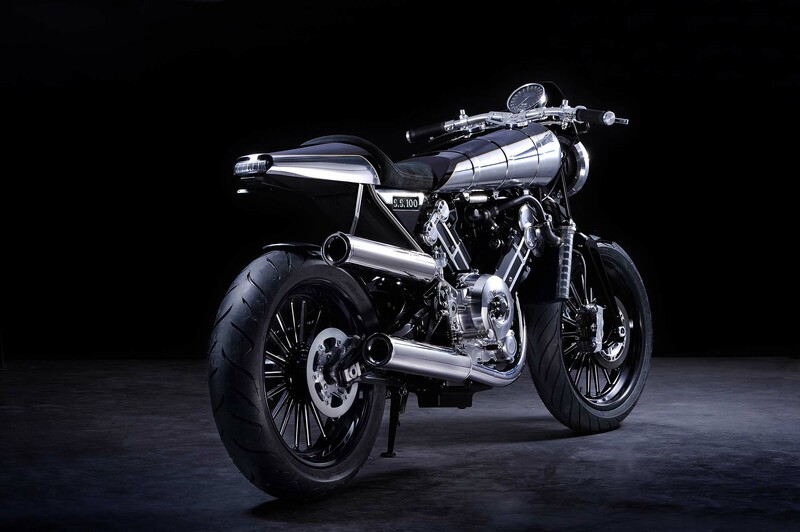 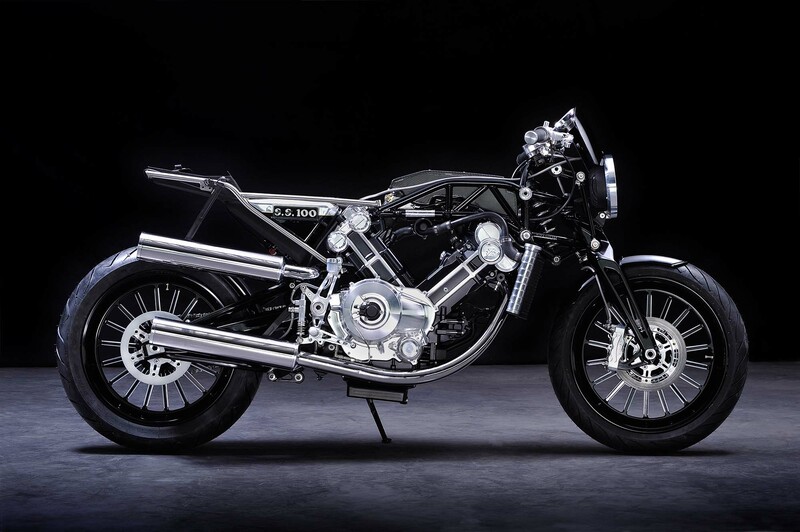 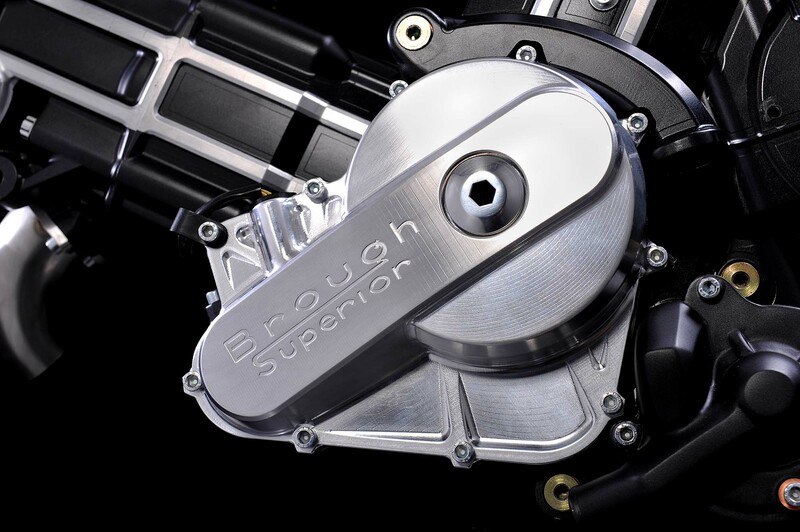 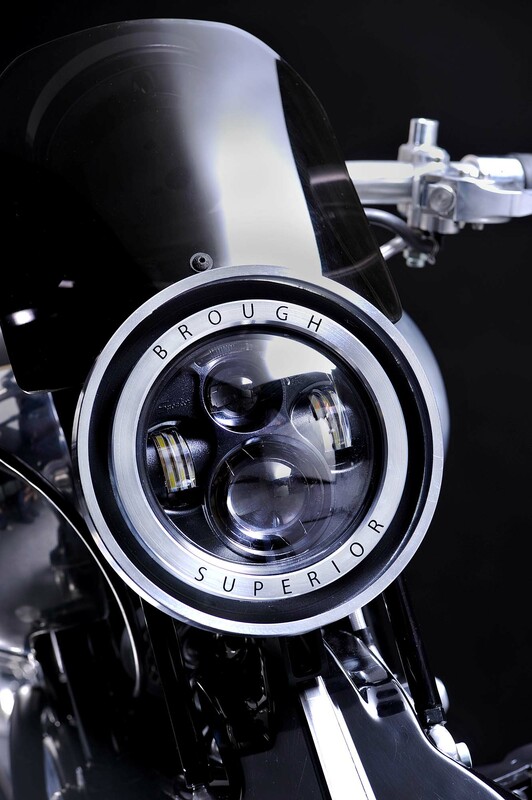 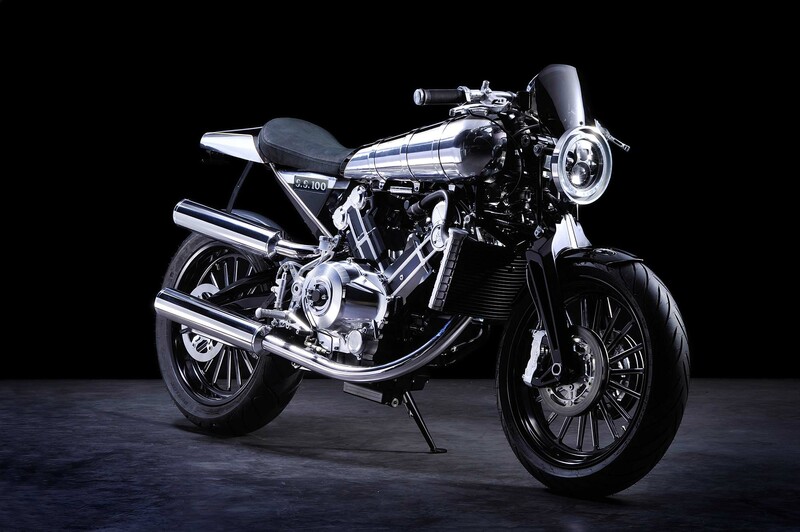 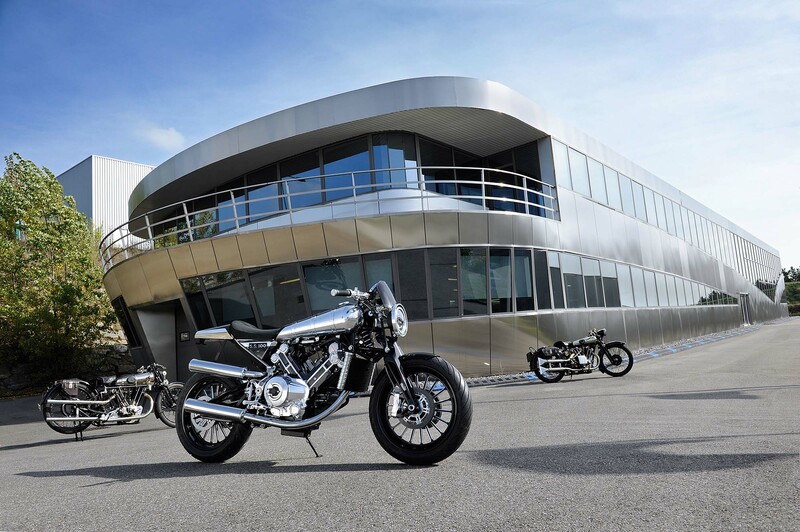 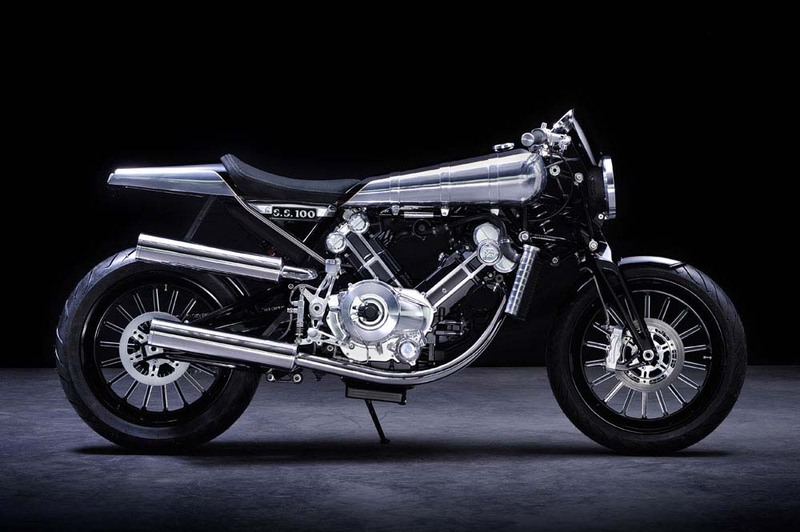 Depending on who you ask, the Brough Superior SS100 uses either a Fior or Hossak-styled front-end that incorporates a “double wishbone” setup that separates braking and suspension movements. 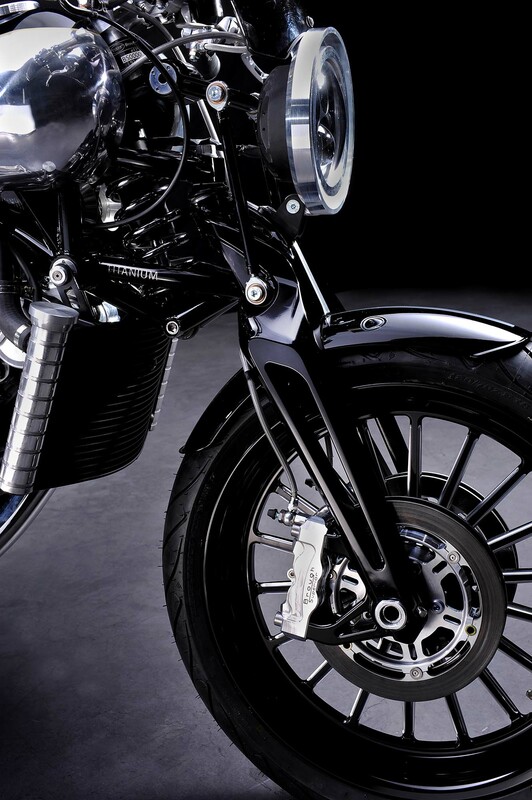 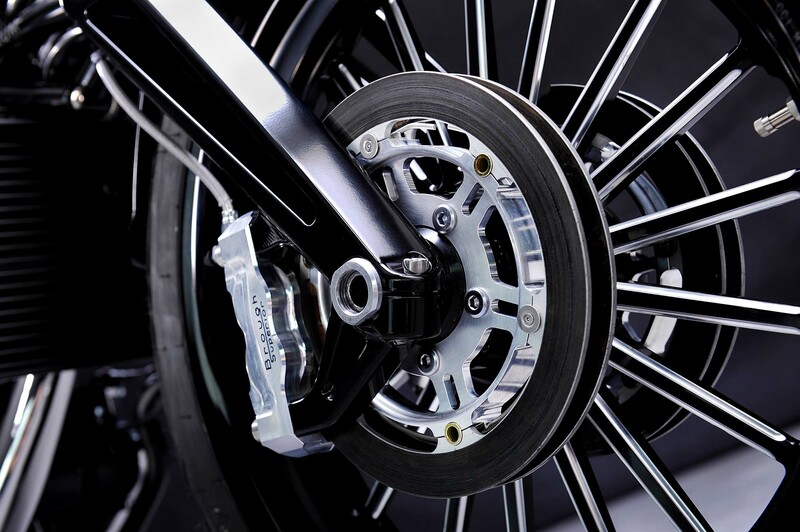 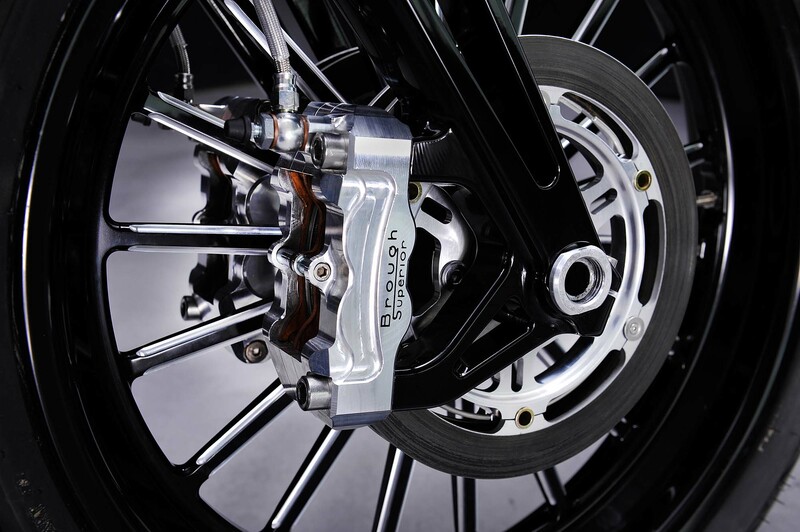 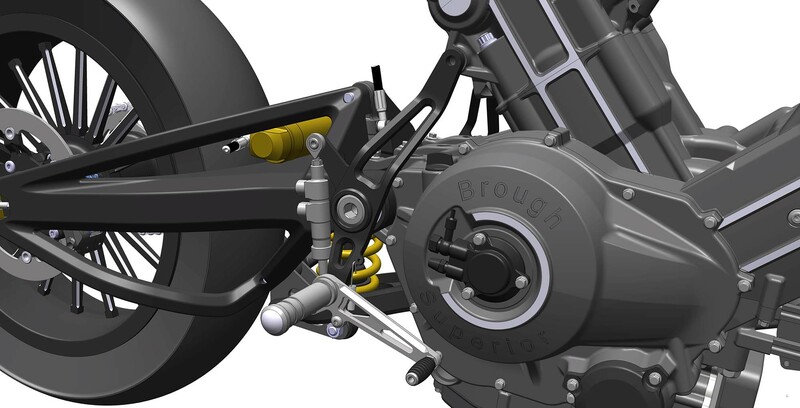 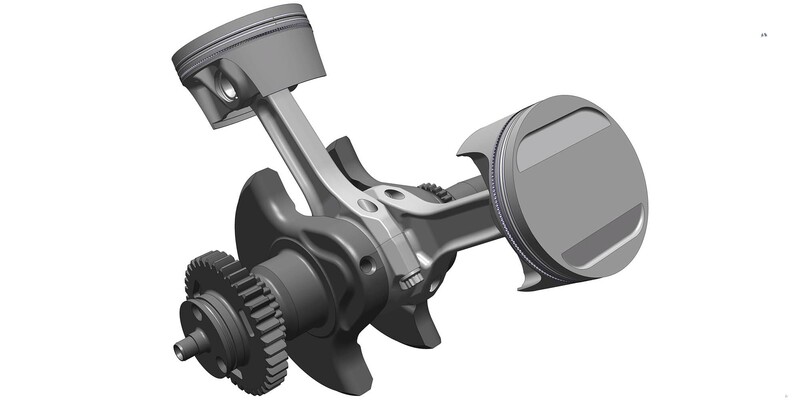 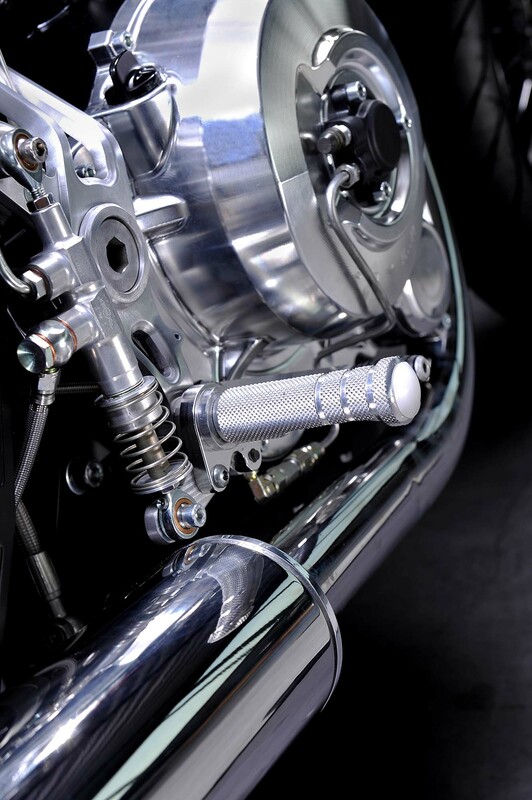 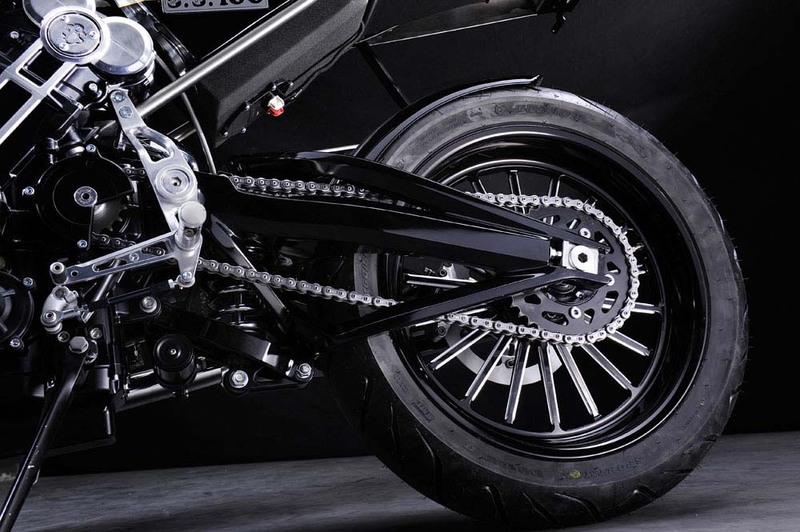 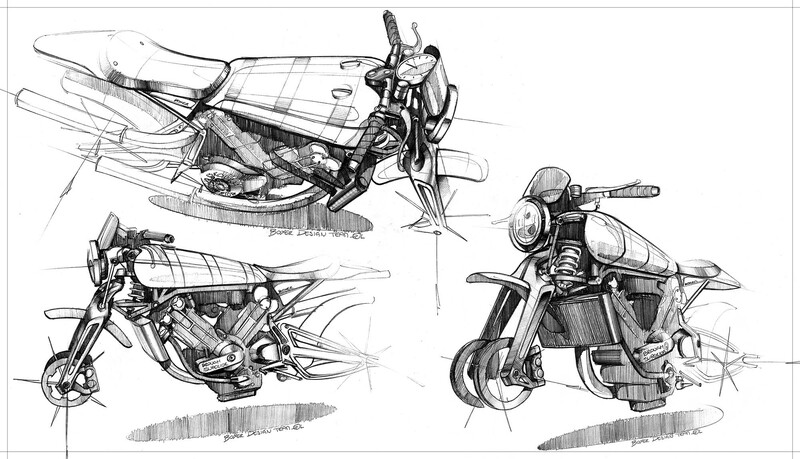 We especially love the result from using Beringer’s four-disc ceramic brake setup on the front wheel, which mimics the look of the old Brough’s drum brake system, while providing outrageous amounts of braking force to the motorcycle. 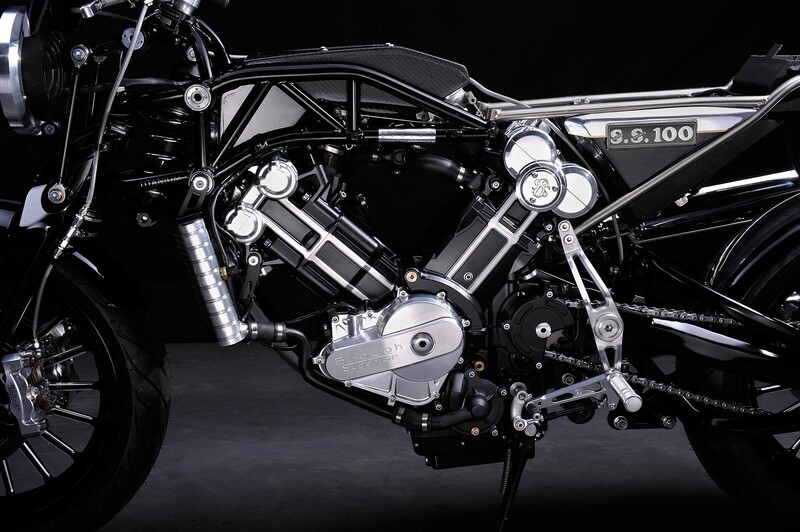 We’ll stop there, because it’s easy to get lost looking at the details of this machine. 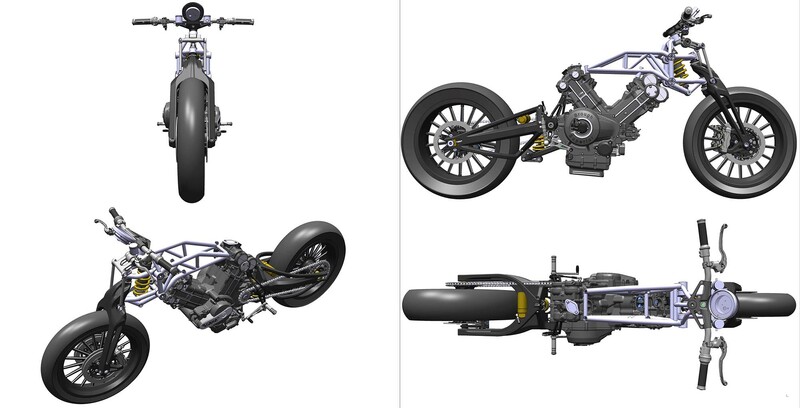 Just see for yourself, below.